Spoon yogurt into shallow bowl. 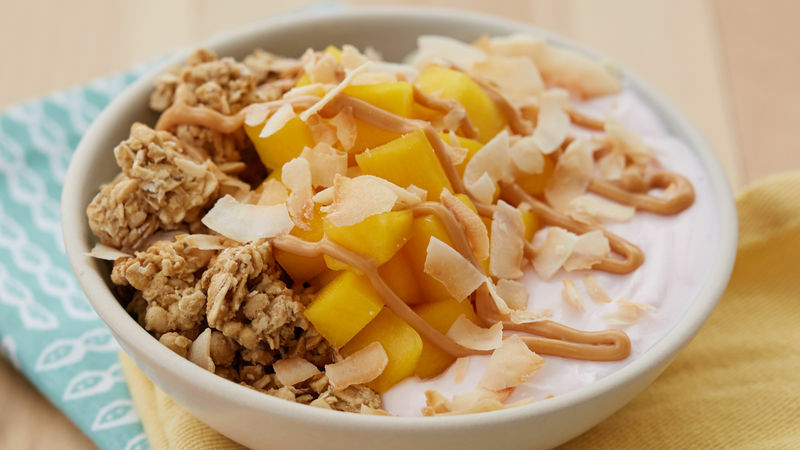 Top with granola and mango. Don’t have a mango? You can substitute half a sliced banana for the mango in this recipe. Cashew butter works well as a substitute for the almond butter.